Single leg chain slings are one of our most popular sling styles. 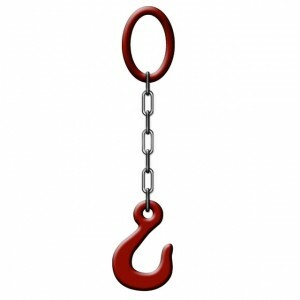 Comprised of a single length of chain with fittings on each end, it is designed for use in a vertical hitch. 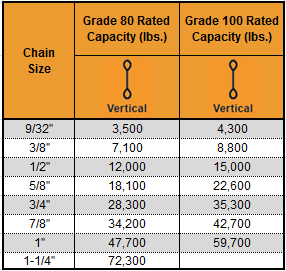 In addition to lifting, a single leg chain sling can also be used for pulling and load securing. Due to the simple style and versatile uses, it’s generally considered to be cost-effective. Slings with a single length of chain are generally fitted with grab hooks on each end, but other fittings are available.